Key Clinical Topics in Orthopaedic Trauma offers an indispensable practical guide for clinical practice and exam revision. 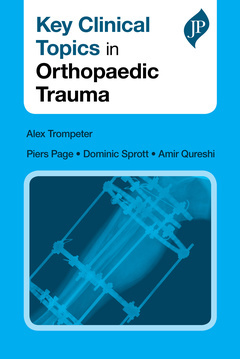 Presented in an A to Z format, this book provides rapid access to the core topics in orthopaedic trauma. By providing a collection of succinct topics that are easy to follow and essential to know, this invaluable book will enhance the clinical knowledge and practical skills of all trainees involved in orthopaedic trauma medicine.